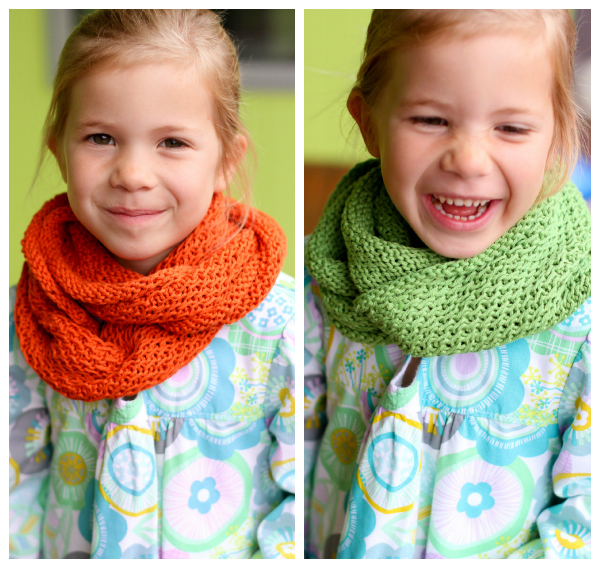 make it perfect: .4 Little Honey Cowls. 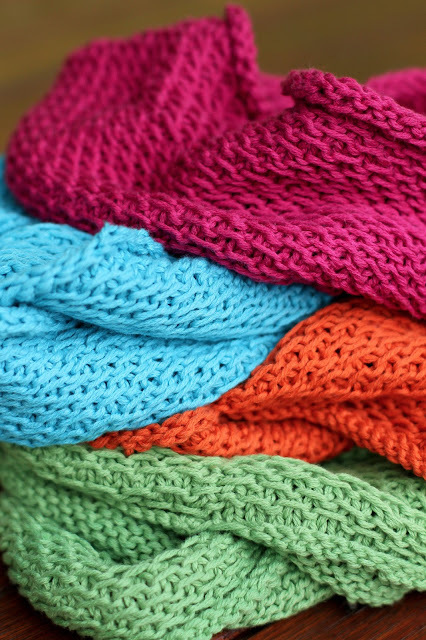 These Honey Cowls have become my go-to "couch" projects. (See my first three here, here and here.) 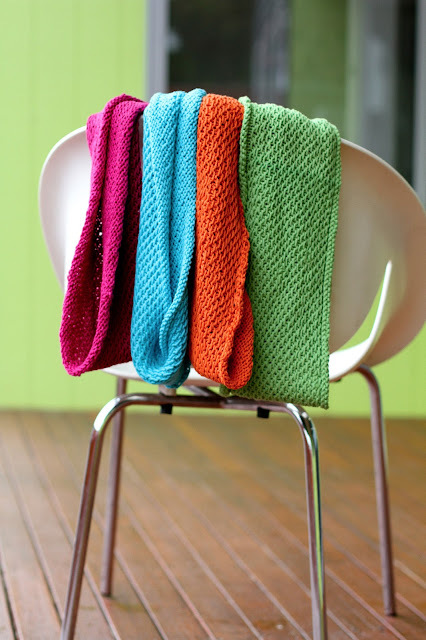 These four Little Honey Cowls have been knitted over the last few months with no particular purpose in mind. After knitting my first little version of the Honey Cowl for Lil, I was so happy with the finished product that I wanted to use up the rest of the yarn that I had unpicked from my crocheted bag. Not sure that unpicking and reusing a yarn is technically the best thing to do, but for a cowl that is wrapped and losely worn you can't really tell that the yarn has been previously used. Once again, these cowls were made using Brown Sheep Cotton Fleece yarn (love it). It took exactly one skein to make each cowl. This size was made by casting on 150 stitches, then knitting until 6" wide. We gave the blue cowl to my niece, Maya, for her 8th birthday last week. She looks lovely in it and had a super rainy baptism birthday and wore it all day long. The other three have been put in the present box (oh, how I love having a present box!) ready for some other special little girls birthday in the future. Those cowls are lovely. If you wet them and let them air dry flat you'll never know you reused the wool. I'm sure only a trained eye would know that you reused the yarn. No big deal at all. Those are terrific little cowls. 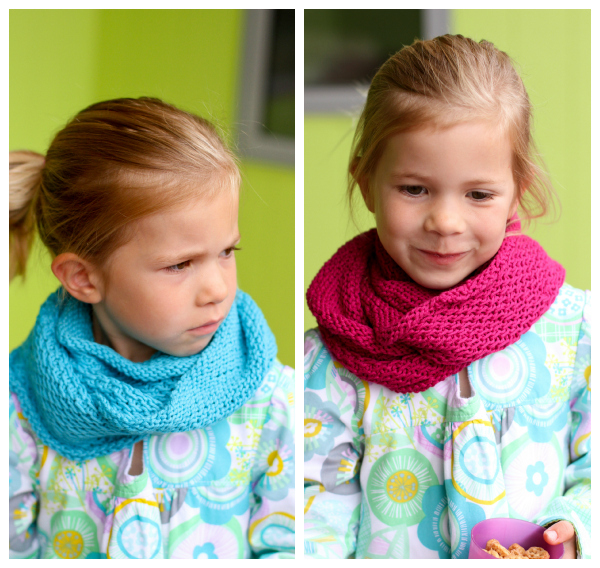 I like them much better than a scarf for children because they can't fall off and there is no retucking. 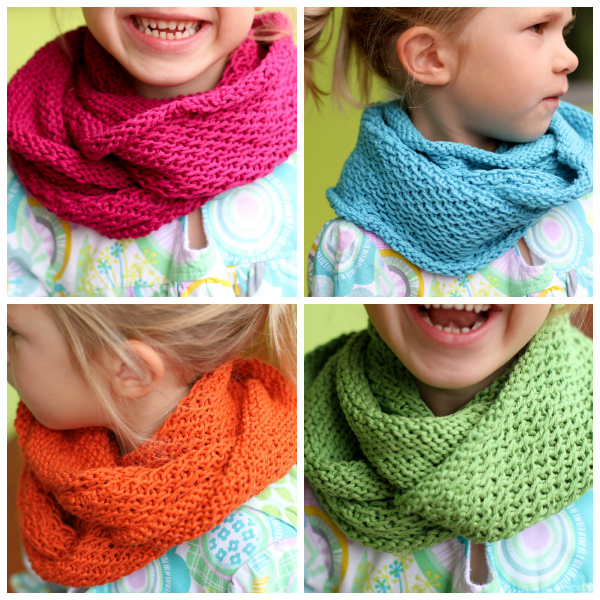 Love these - I'm wanting to crochet a children's cowl, but not having a child handy at the moment not sure how long to make it? Can you tell me roughly how long your 150 stitches made it? Gorgeous - everything always looks even better made up in multiples & different colours doesn't it! Thanks for Nic's great tip too, I didn't know that.